Captain Brad was born and grew up on a river and was always told by his friends that he should be a captain. 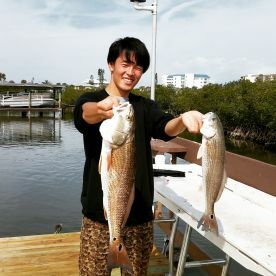 He has now been fishing the Florida waters professionally for 17 years around areas such as the world-famous Mosquito Lagoon, the coast line running from Daytona to New Smyrna beach, and offshore deep fishing up to 40 miles. 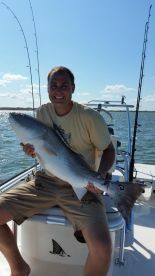 For the last 11 years he has devoted himself full-time to offering guided charters, doing what he loves. He uses all the knowledge he has learnt over the years to make sure you're in with the best possible chance of finding fish. Capt. 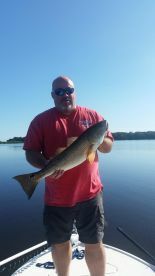 Brad loves artificial lure fishing the most ,but he loves live bait fishing as well especially when the bite is down. 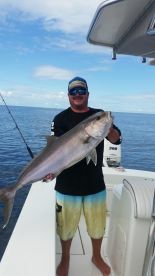 He finds having the right bait and presentation is the most important aspect of fishing. 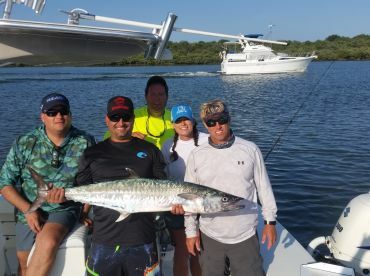 Shark and Tarpon right now is a blast! Offshore the Bite is great! 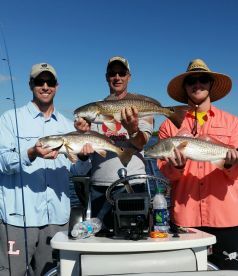 Redfish Bite is on ! It was a beautiful day but maybe too nice. 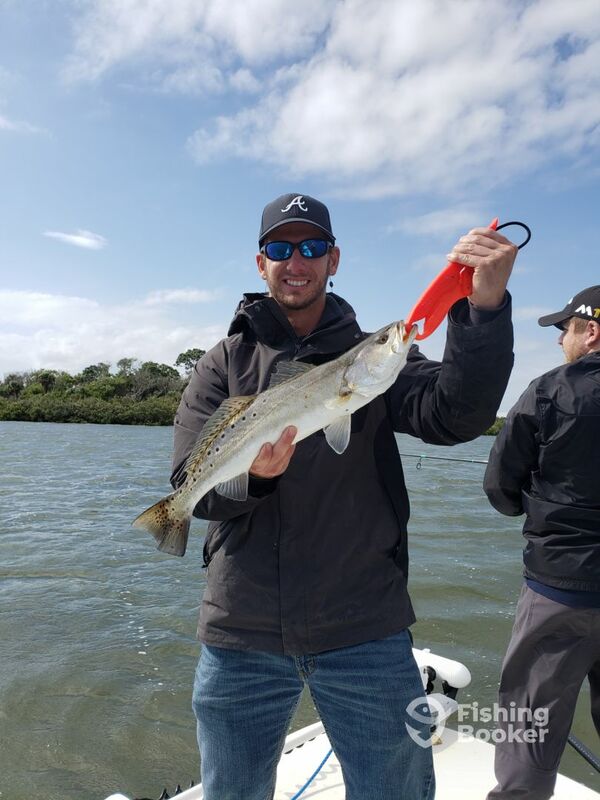 Recent weather had kept the waters warmer than usual and the fish were spread out. Capt Brad took up into a creek where many do not go. 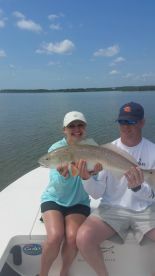 We caught and saw redfish, caught a sea trout and small snappers. Saw several fish working. 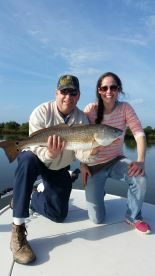 Capt Brad is very knowledgeable of the area and works hard to put fish on the line. I took my 13 year old grandson fishing for his first time. 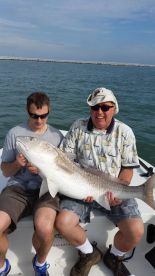 Captain Brad was very patient and showed him how to hold the rod and cast the line. 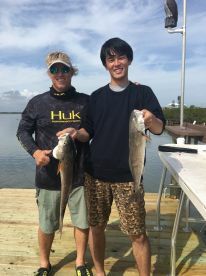 By the end of our short trip he was able to cast with confidence. 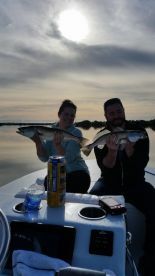 He even reeled in 3 fish and had a good experience. 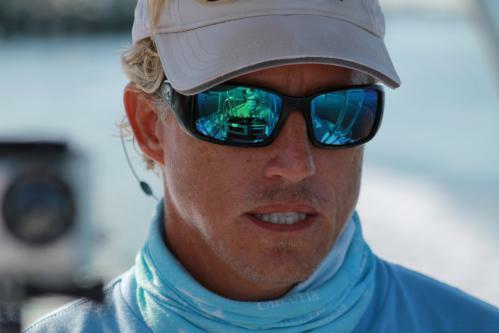 We will go back out with Captian Brad in the near future.